We are pleased to be offering one of our certification seminars for our officials for the IKF PKB Sparring Circuit! 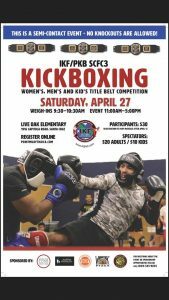 This is a mandatory seminar for all promoters and their current and future referees or judges for IKF Point Muay Thai / Kickboxing Sparring events in the State of California! 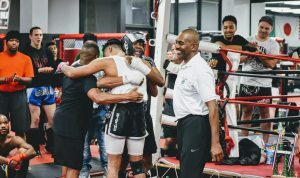 The information that will be covered will continue to help keep our fighters safe and allow you to assist at our events! 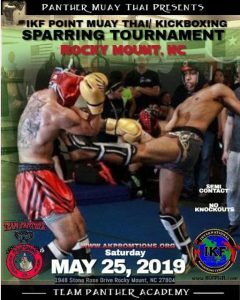 Plan to be apart of the event and increase your knowledge as well as continue to help the sport of Muay Thai / Kickboxing grow just as the IKF PKB has done for over 20 years across the country and abroad! 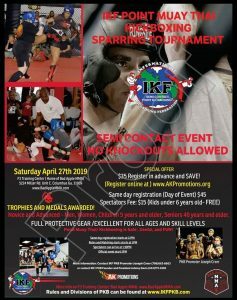 The Seminar will be from 9:AM to 11:AM on Saturday Morning before the IKF Point Muay Thai / Sparring featuring Technical Bouts’ Tournament at the Free Flow Academy on March 30th in Rocklin, CA. The cost of the seminar is only $25 in Advance and $35 the day of the event. Participants will also receive a certificate. $5 Card fee on each transaction. The Seminar will be presented by IKF PKB President and two time world Kickboxing Champion – Johnny Davis! Do Not Delay…Sign Up and Reserve Your Spot Today! Reserve Your Spot today and Save!